Get this Caution Slippery Floor Sign and help keep employees and visitors safe from accidents and injuries in the workplace. 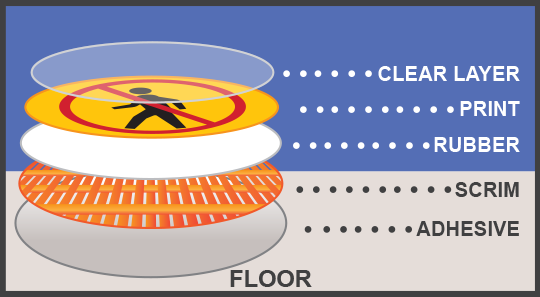 This caution slippery floor sign is available in rubber or mesh, and 17.5" or 22" diameter. 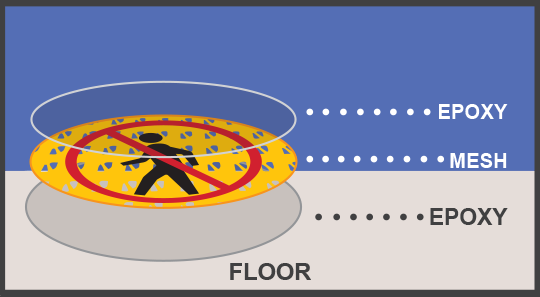 The vibrant yellow and black caution color scheme ensures that this floor safety sign will be easy to see, and it features an image of a man slipping on liquid to make the message clear to understand even for non-English speaking individuals. 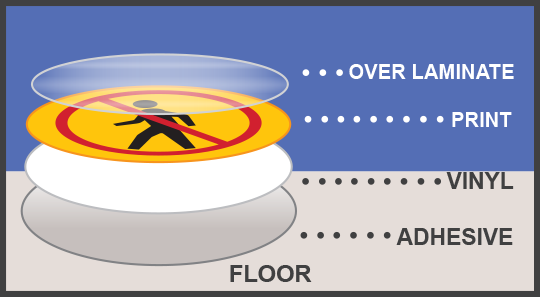 Use this eye catching floor sign to improve warehouse and workplace safety. Need a more customized floor sign? Check out our online custom design tool to create fully customized floor signs and floor tape specific to your business or application.